If anyone needs a facial, it’s me. I certainly need it, having tilted the Muddy visage to the sun (anyone remember the days of baby oil slathered over our limbs and tin foil under our chins to catch the rays?) for decades. So when Whatley Manor’s Aquarias Spa (worthy Winner of a Wiltshire Muddy Award last year for Best Day Spa) asked me to come and try their new Diamond Life Infusion Facial, I was in the car and on the A34 before you could say ‘intense exfoliation glyco peel’. The stable block – home of the Aquarias Spa (and a pretty funky 40-seat cinema with huge, red-leather seats) – oozes calm and relaxation, with friendly spa staff, uber-smart changing rooms and the fluffiest robes I’ve ever sloughed into. 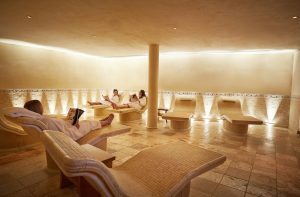 I’ll ‘fess up and say that I have been to Aquarias before – it’s one of my favourite spas in the whole country – and I can’t recommend it more. 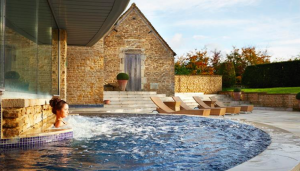 The Hydrotherapy Pool is the perfect place, with its bubbly jets and under-water loungers, to totally chillax; even on a grey day you can float outside and take in the stunning gardens while staying cosy in bath-temperature water. Pop back inside for the sauna, steam room and rainforest showers, as well as a Tepidarium with heated stone beds and salt scrub showers. Oh, and plenty of whale music of course. There is a VIP suite where couples can be massaged side-by-side (I’ll take that next time, please) and a smart gym, too, with a weekly timetable that includes Boot Camp/Circuits, Kettlebell, HIT and Flexibility classes. 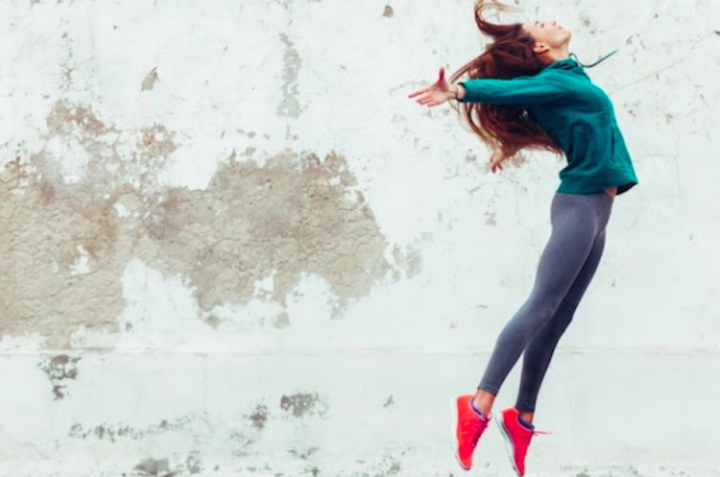 They have recently bagged new Technogym equipment, including a Plurima Multi-station Wall with strength training equipment, Forma exercise bikes for cardio workouts and Forma Synchro cross-trainers which offer both cardio and lower-body workouts. 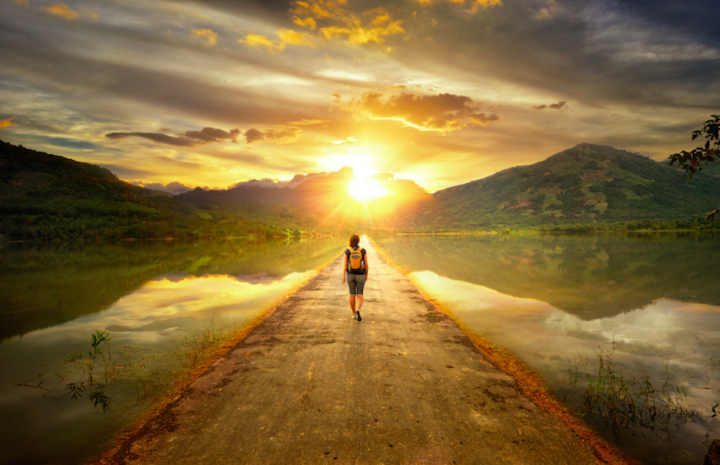 No, don’t zone out…it’s good for you. Honest. Onto my treatment and two hours of pure, unadulterated bliss. Kaylee, my beautician, swept me up from the Tepidarium and introduced me to the Natura Bissé Treatment Bubble, a huge bubble (literally) of air so pure (99.99%) it’s like stepping out onto a snow-capped mountain in the middle of the Himalayas, with no traffic, pollution or toxins in sight. Kaylee talked me through my Diamond Life Infusion Facial, which may sound like a life insurance company but trust me, there is little similarity. The Diamond Life infusion is an intense facial focussing on anti-aging technology, which is obviously what’s needed for me… First, Kaylee used a Glyco 3 peel on my skin, an extreme exfoliation process. It tingled a little and felt warm – although she told me that was normal – but its benefits include biomarking technology which, I am told, is not found in any other product range. The idea is that the biomarker pushes the product further into the deepest layers of the skin, so increasing its benefit. After that, Kaylee’s nimble fingers got stuck into three different massage techniques, all designed to help the anti-aging process, followed by two different masks, one of which is an LED mask designed to help improve the collagen and elastin in the skin. Yep, I need that. The facial was completed with a relaxing peel-off mask which is placed across the whole face, including the eyes and lips (slightly claustrophobia-inducing but I was told it’s best for maximum result). Needless to say, I was bowled over by the whole thing. The air in the bubble was so clear and delicious to breathe, Kaylee’s hands were magical and the experience truly restorative. Oh, and I could see the difference in my skin afterwards, which I can’t always say with a facial. While I might not go as far as 21, I definitely looked 30! Kaylee gave me a brief skincare consultation afterwards, mainly encouraging me to drink plenty of water, make sure I relax for the evening, and most importantly advising me to apply a serum under moisturiser at night time as this is when skin is most active. She advised using the Hydro Gel Toner from the Natura Bissé Cure Range for my dehydrated skin (better take that water-drinking note on board) and plied me with a handful of testers – I guess she knew I love a bit of free booty! I was seriously impressed with the results. It costs a punchy £150, but it’s definitely the most effective facial I’ve ever had and was worth every minute. The intensity gave me firmer, more luminous skin, while helping wrinkles (sorry, expression lines) to fade. I give it a Muddy thumbs up as a breakthrough treatment in skin care. Sadly I had to forgo the delicious herbal tea and hotfoot it out of there as my 50-course supper was calling (and I’d abandoned my 12-year old upstairs in our bedroom mainlining YouTube) – watch this space for my review of dinner – but you probably don’t need me to tell you that I shall be back! Want to try it for yourself? 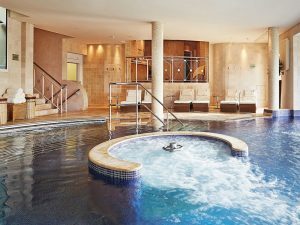 Whatley have just launched their Social Club Membership, a new club ‘where wellness and socialising meet’, based around the Aquarias Spa. Sign up, they tell me, and you’ll get unlimited access to the gym and spa (trust me, you’ll never want to leave) plus some pretty ritzy social events.